The Paradox Twin have released a video for their new track Planeta. The song features a guest appearance from former Touchstone vocalist Kim Seviour, with the song set to feature on the band's debut album The Importance Of Mr Bedlam. It'll be released on June 29 via White Star Records, after Danny Sorrell, Diane Fox, Leland Freeman and Rob McGregor signed a new deal with John Mitchell and Chris Hillman’s label. Watch the video below. The Paradox Twin join Seviour, Kepler Ten and Voices From The Fuselage on the rising prog-led label. 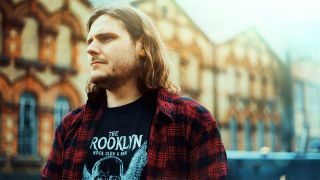 Frontman and main songwriter Sorrell says: “I am so ecstatic for the journey ahead – I haven't stopped smiling since everything has finally come together. White Star Records have given me a platform to progress my lifelong passion of music, and I cannot wait for this album to finally be revealed to the world. The Importance Of Mr Bedlam was produced by Mitchell who also guests on the record. As for signing the band, Hillman says: “When we started White Star Records, John and I decided not to release loads and loads of music but to focus on quality over quantity. Therefore when we sign anything it has to be something that we both think is great. “Recently John played me tracks from a new artist that had been in his studio. He was very excited about it. The artist was The Paradox Twin and after a couple of listens, I could see why John was so enthusiastic. It was great stuff and I couldn’t stop playing it.